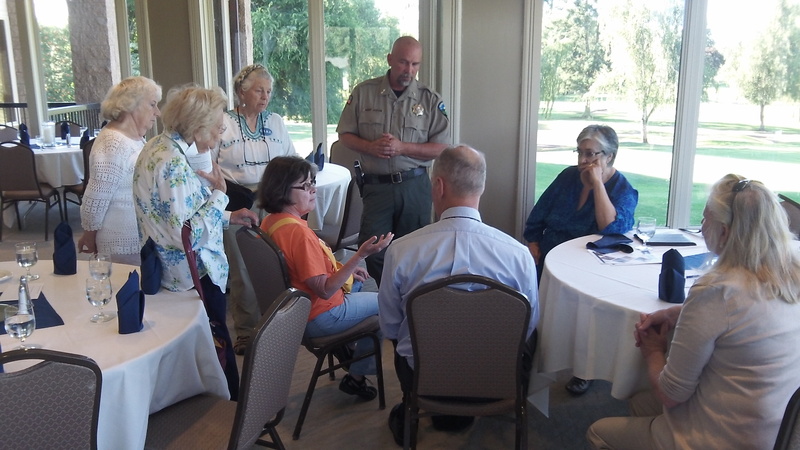 Sheriff Scott Jackson, Commissioner Annabelle Jaramillo (blue dress) and others talk about the Benton County jail. Not everybody is convinced that Benton County needs a new jail, even though it does. That’s the way it looks to me after a sparsely attended public “conversation” in North Albany Tuesday. I counted 18 people as having signed in, and I looked at a handful of comment cards some of them left. Explore alternatives, one of them suggested. Albany residents already have to pay off a bond issue, another worried. Why doesn’t Oregon State expel students who have been arrested, one wanted to know, presumably on the theory that those people then would leave and not be a problem again. One fretted about the expense of the meeting venue, the upstairs banquet room at the Albany Golf and Event Center. How much was it? The club charged $350, county public information officer Rick Osborn told me, and that included tables all set up with glasses of water, as well as counters with soft drinks and cookies. For a similar meeting elsewhere, Osborn said a Scout lodge was charging him more. What about the jail plan itself? It would be a one-story structure with a capacity of 120 inmates. The present one, built in 1976 adjacent to the courthouse, is falling apart and can only hold up to 40, requiring the sheriff to send prisoners elsewhere to serve their sentences and sometimes just to be booked and held. Here’s what else I learned as I hung around the meeting, munched a few cookies and chatted with county officials: Benton County is negotiating for a 15-acre property, a former mill site on North 19th Street in Philomath. The other potential jail site, near the Corvallis Airport, would cost far more to develop because wetlands would have to be dealt with, a road would have to be moved, and Corvallis systems development charges are higher than in Philomath. Both sites are within about 20 minutes’ drive from the Corvallis courthouse and law enforcement center, depending on traffic. 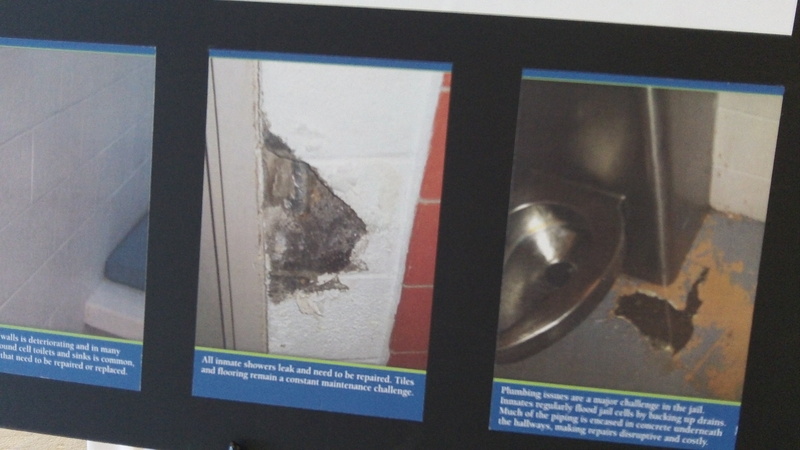 Display shows some of the Benton jail’s bad conditions. Jack Burright commented on Facebook: The original plans was to build on to that jail which in reality is not that old. I understand the courthouse being historic caused some issues. The low income apartments next to the LEC at the South corner seemed like a great deal as having it there would save gas, Overtime, and having two agencies next door, should a problem happen, the response time would be quick. The current facility most inmates are walked into the basement of the courthouse. So several things come to play, one is the cost, two is the location, as no one seems to want to live next door to a jail. and three is the money to keep it operational if built off site. A minimum security facility for work crew and non violent offenders was once suggested and actually made some sense. I have not seen any increase in crime in Corvallis as well, most of the complaints of jail closures were the same complaints 20 years ago. 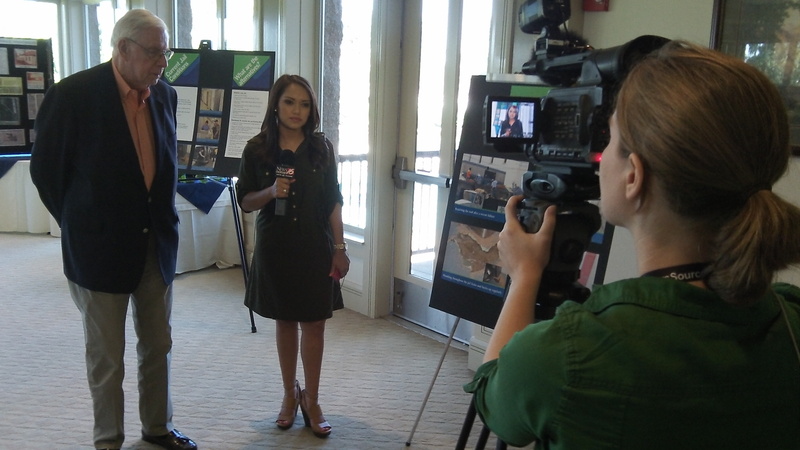 The right staffing in the facility also plays a key role on keeping it open when offenders need to be brought in. Your thoughts? All facilities will deteriorate over time unless properly maintained, and proper maintenance is difficult when there is a lack of will to provide the money needed to make that happen. Even when maintained, a growing community may often outgrow a facility. While Corvallis has been light on the growth side, the rest of Benton County will undoubtedly continue to grow. All public facilities would be best served by having facilities reserves set up where regularly accumulating money, and making it grow through investment income, is almost always the best solution. Unfortunately, that’s very hard to do in reality, because when things get tight due to economic downturns the money may be shorted or used to keep current operations running. It’s a good thing that the community is being engaged to help solve the problem. And Rich, it’s the elected officials who are responsible for making those decisions. They are the ones that ultimately set the budget and the priorities for the expenditure of funds, not the bureaucrats. Unlike a private business with narrowly focused goals on making profits, public agencies have to be accountable to a variety of interests. That is the way government is supposed to work: finding the best way to accommodate the needs of all. As I’m sure you know its is manifestly hard to do that. There are competing interests all the time and they all have valid interests. Benton County will figure it out and, hopefully, cool heads will prevail.